Not sure if you’ve been following my Instagram feed or Facebook page, but for these last 2 months I’ve bounced around the United States in an RV, travelling from coast to coast, mountaintops to beaches. As the journey continues I’m constantly in awe of people’s creativity in life and the diversity of what communities offer. What’s normal for some is completely foreign to others… and some of you think Australia is backwards and weird. So here’s the start of a 3 part series to introduce you to just a few of the incredible and often obscure places my boyfriend Michael and I have managed to stumble across. Fall is one of my favorite times in Aspen, but with a hint of snow in the forecast and a drop in temperature it’s time to migrate west to red rock country. Moab, UT in the Spring and Fall is filled with snowbirds descending on the delights of the outdoors, indulging mountain biking, dirt biking, off-roading, hiking, rock climbing, river running and more. 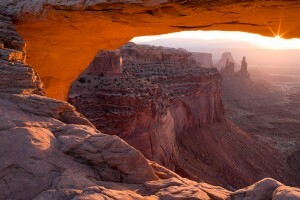 Between Canyonlands and Arches National Park, even city dwellers can be in awe of how beautiful and spiritual the high desert of the Colorado Plateau can be. But this time through we skipped Moab entirely. Psych! 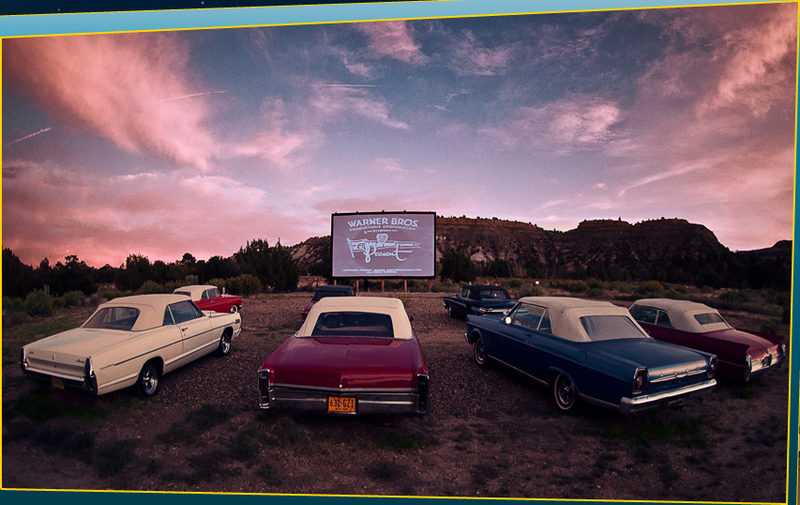 We bee-lined straight for a little town in south central Utah called Escalante. It’s a low-key community of about 800 people surrounded by the vast Grand Staircase-Escalante National Monument. 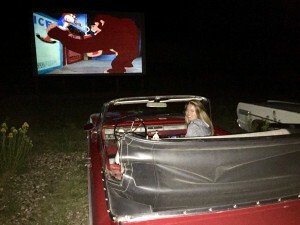 We arrived at dusk at the Shooting Star RV Resort, just in time to get comfortable for their evening’s entertainment: an authentic drive-in movie! Previously, I had only ever seen drive-in theaters in the movies. ‘Grease’ has that great scene where Danny get’s fresh with Sandy, prompting her to leave in a fluster and the smitten John Travolta sings ‘Sandy,’ a scene that was forever ingrained in my young and impressionable mind. So to experience one in real life was a real treat! The stars rolled on overhead and a light breeze tickled our necks as we wound up the windows to the convertible and snuggled in for the film. A foot heater kept the chill out and the sound was piped through the revamped stereo system of our 1965 Dodge Dart Convertible making the already surreal experience a quality one. The movie was Casablanca. I felt like I was in Hollywood, like I was Olivia Newton-John in Grease. I had, for the moment, stepped back in time. Shooting Star RV Resort was the concept of Airstream enthusiast Mark Gudenas who started turning his vision into a reality back in 2009. 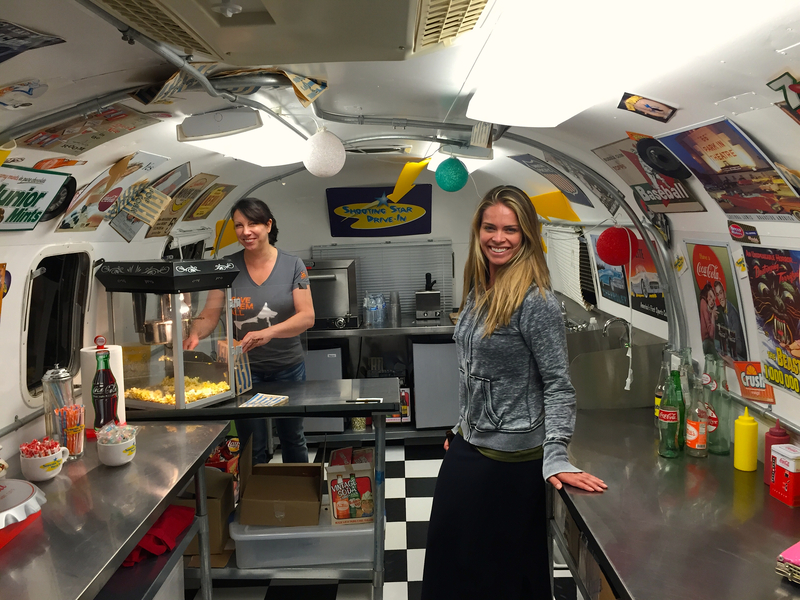 With an obsession for Airstreams and drive-ins, Mark originally intended it as a destination for Airstream travellers only, a community of silver tubes in the desert. But now it doesn’t discriminate. All RV’s, campers and ‘glampers’ are certainly welcome. Eight custom-designed hollywood-themed Airstreams are available for rent for those not travelling with their own apartment on wheels. The accommodations have decks attached with an outdoor BBQ grill, while inside is a full basic kitchen, private bath, queen bed, luxury linens, flatscreen HDTV’s, etc., all the luxuries of a small studio apartment. 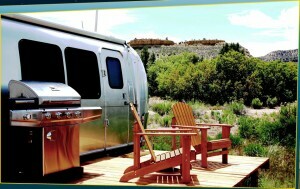 If you’ve always dreamed of hitting the road in a classic American Airstream, well this is a great way to try it out. Husband and wife team Troy Wittusen and Michelle Levandoski, to ok over the site in the Spring of 2014. Trading in the city for a new quality of life, Michelle still works remotely in Insurance coding and compliance, while Troy has the dream job of running the property and tinkering with classic old cars. Troy and Michelle are delightful hosts, always up for a good laugh, and most helpful with local knowledge and advice for day trips or tours. 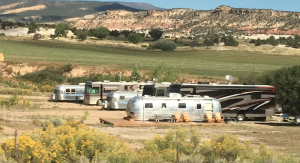 Local Escalante outfitters offer guided hiking, jeeping, fly fishing, ATV tours, canyoneering and more, so plenty to keep yourselves occupied in between drive-in movies. 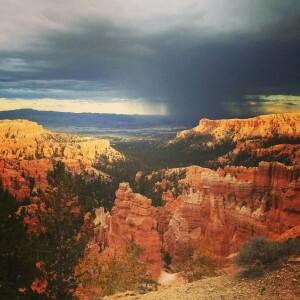 For us, the spires of Bryce beckoned, as did the miles of paved bike paths for road biking that wove through the spectacular landscape of Bryce Canyon National Park. The fall leaves and red rocks of this area change color dramatically throughout the day, and the thunderstorms that can roll in add a different dynamic to the irresistible hobby of landscape photography. Along the way the more people you meet, the more eclectic they can get. I find it fascinating to learn how people come to be where they are. The host that seated us one night at the Bryce Canyon Lodge was a young man from Alaska who had decided on a whim to come to Bryce for a season because his name was Bryce, and Bryce was Bryce, so Bryce it was. While you may laugh, this story is similar to how I landed in Telluride, CO, from Australia, straight out of university. While studying in Adelaide the name Telluride came up three times in one week, once in an outdoor magazine article, once in a novel I was reading and once in conversation. It was just meant to be. That said, I’ve never wanted to go live in Ramona, CA. It’s not exactly that stimulating. But under Bryce’s philosophy good news for those with exotic names like Paris, Aspen or Bali. Las Vegas was next, the place to don stilettos and some bling then EAT until we could eat no more. 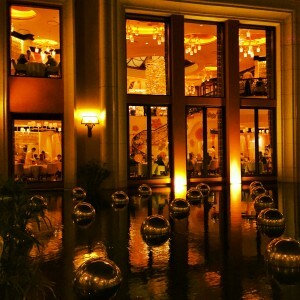 The Wynn’s Bartolotta Ristorante Di Mare is one of my absolute favorite restaurants, especially during truffle season. 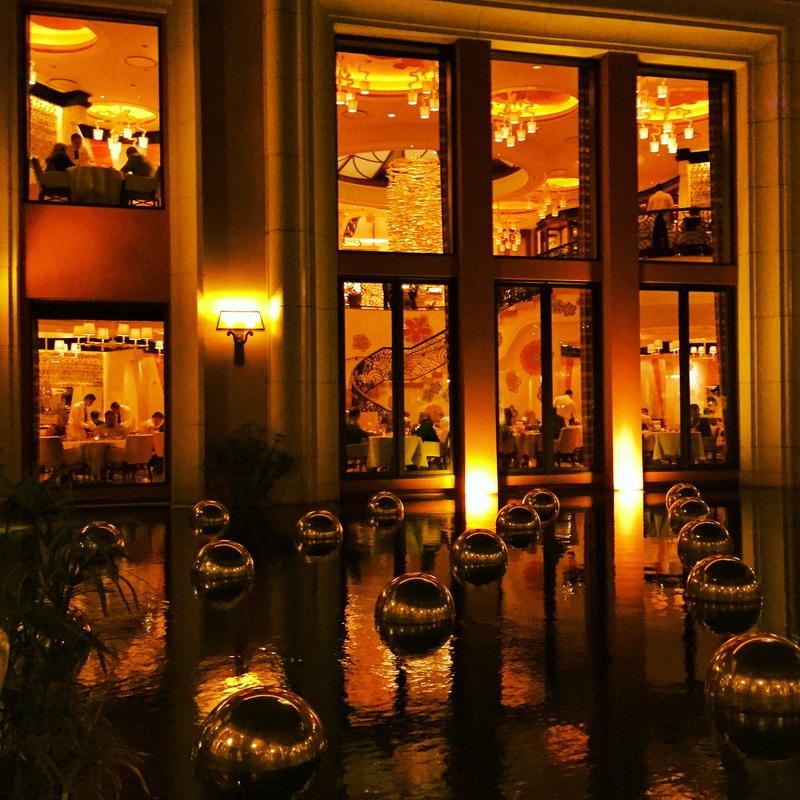 Exquisite service, pasta, seafood, wine list and ambience… classic fine dining in Vegas makes me feel like Elizabeth Taylor in the Sinatra days. San Diego is always a stop on our fall tour to see the ocean and family. 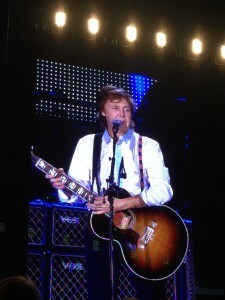 This time around, dinner at downtown Nobu’s followed by Paul McCartney live at Petco Park was a near perfect evening of indulgence and entertainment. Indulge in a meal worthy of being your last. Turn up the music and dance! I receive a visit from the lovely Ramona in my Asheville, NC art studio. I am happy that such a great young woman is reaching her dreams and desires in life and opportunities. Well deserved, as no one could be any nicer and more beautiful inside and out! I was in the Escalante area every 6 weeks for 21 years as part of my publishing route. I published and distributed postcards, souvenir books, Kodak Film (I was Kodak’s # 1 wholesale distributor for the Southwest U.S. Region for many years. Now, no one even buys film) View Masters. My route was from Williams Az. (Home town for 40 years) to Gallup, up to Telluride over to Las Vegas and all of the tourist spots and Nat’l Parks in between. 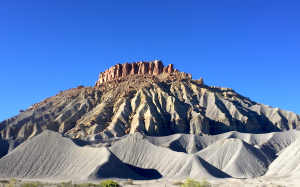 Have you done a Capitol Reef visit? Doug, yes. Love Capitol reef. All the national parks in Utah are unique and extraordinary. Sounds like you had a fun job and certainly put some miles down. Thanks for commenting!